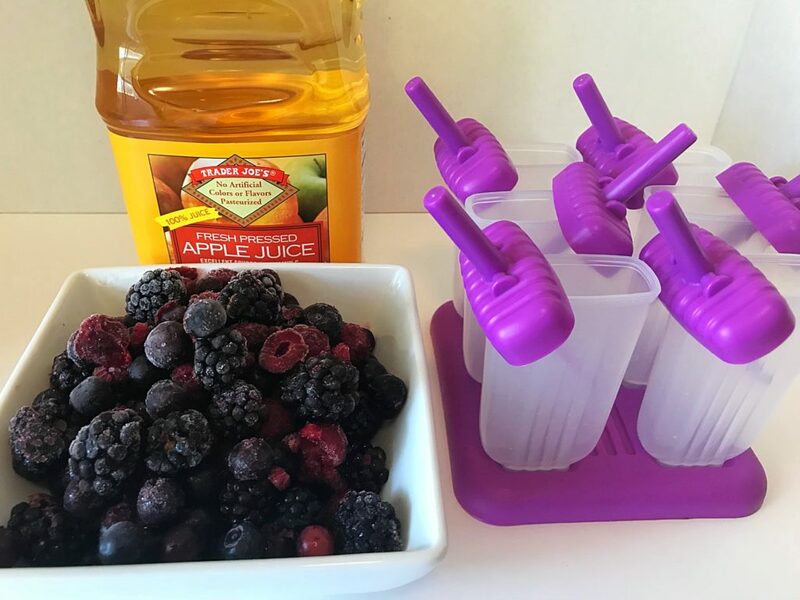 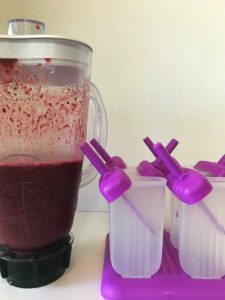 Blend the berries and the apple juice together until you have a smooth mixture. 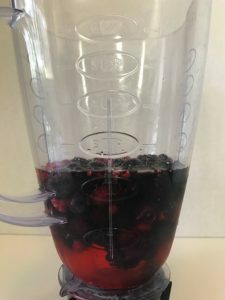 If you don’t like seeds, I would HIGHLY suggest straining the mixture after it’s all blended up. 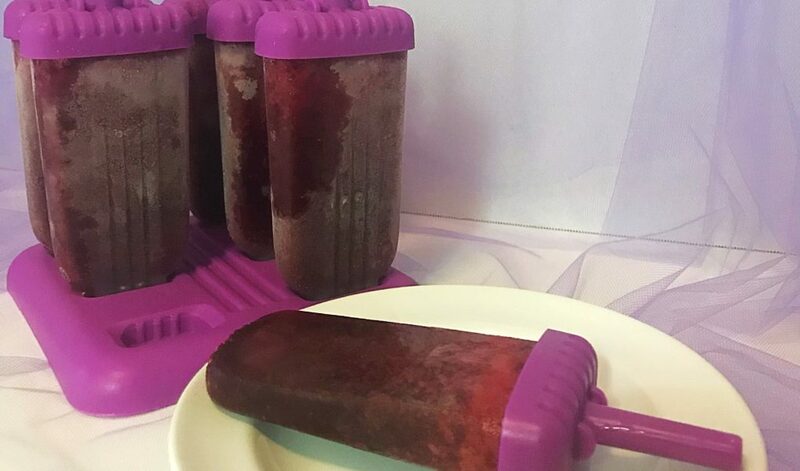 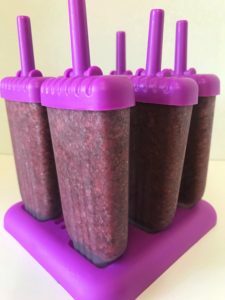 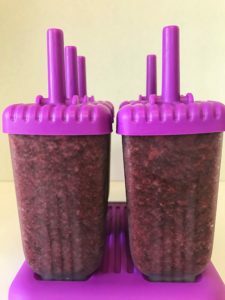 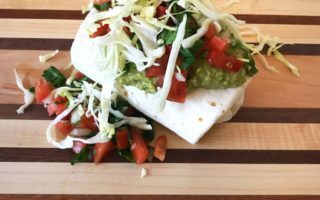 Pour the mix evenly into your popsicle molds and freeze for at least 5 hours.